Peyton’s parents put pressure on the wounds and called 911. 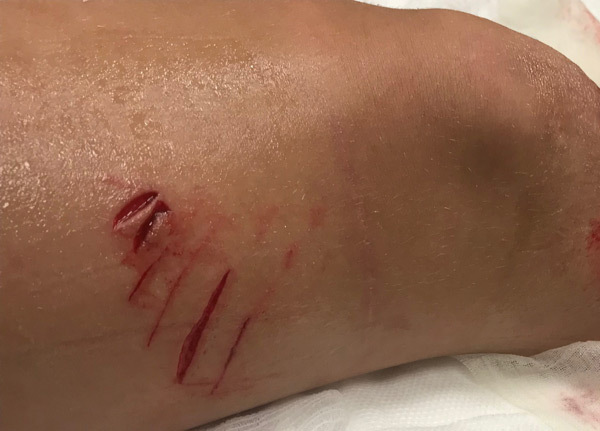 Other children were in the water with Peyton, but she was the only one bitten, according to a St. Johns County Sheriff’s Office report. Peyton was loaded into an ambulance on a stretcher and taken to Flagler Hospital, where she got 40 stitches and was bandaged up. Steve said she was brave and didn’t even cry. 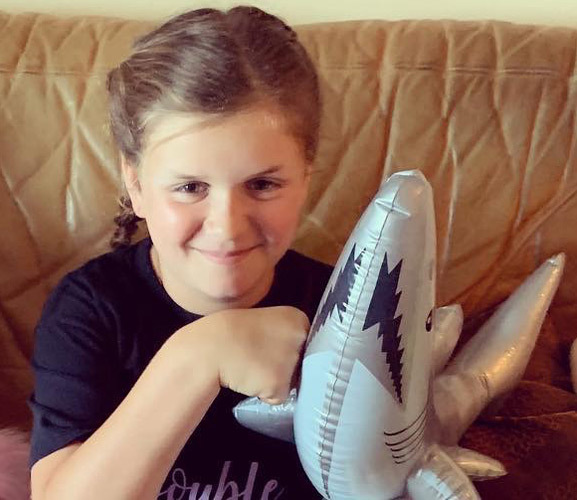 Though Peyton, who’s on spring break this week, was bummed she was unable to get in the water again over the weekend after the shark attack, she said that as soon as she’s cleared by a doctor, she’s looking forward to another family beach trip this summer and can’t wait to get back in the ocean.